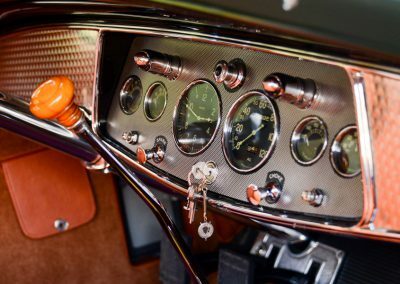 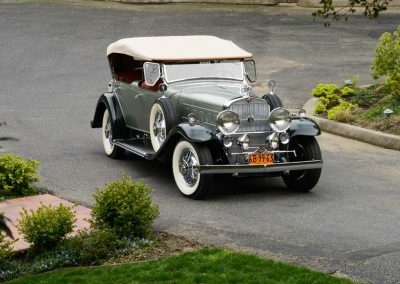 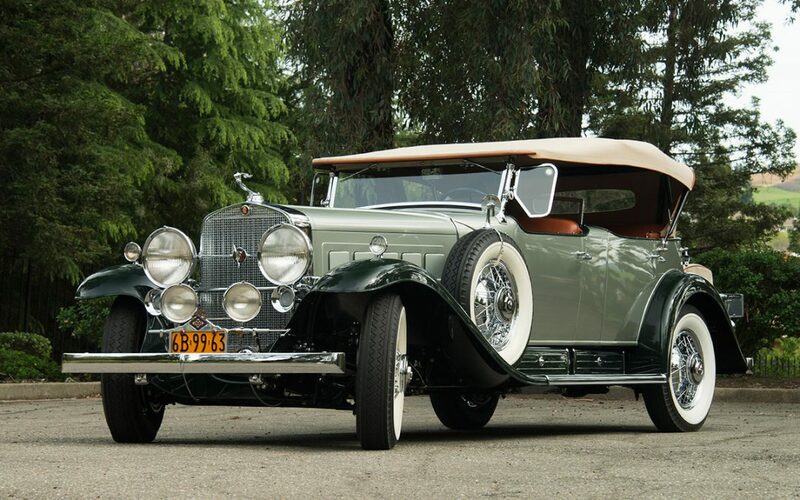 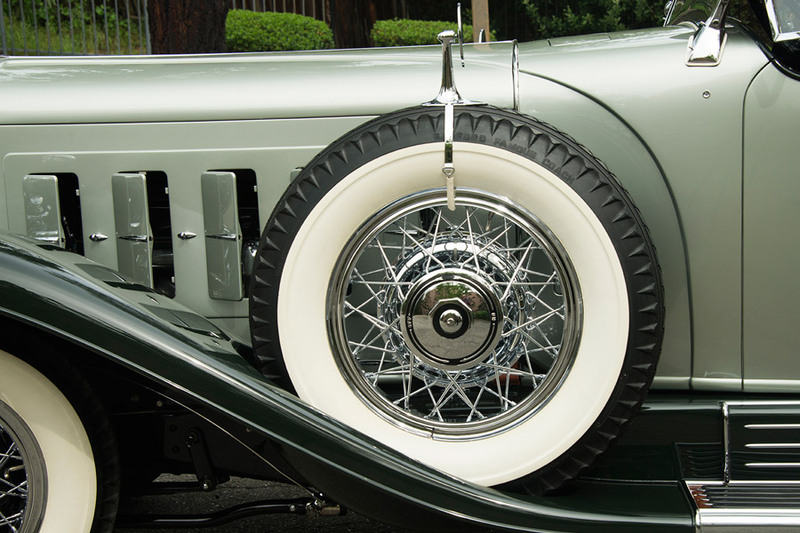 Needless to say Cadillac V-16s are highly sought after in the collector car market and some models like the Dual Cowl Sport Phaeton are so prized, they rarely are available for sale. 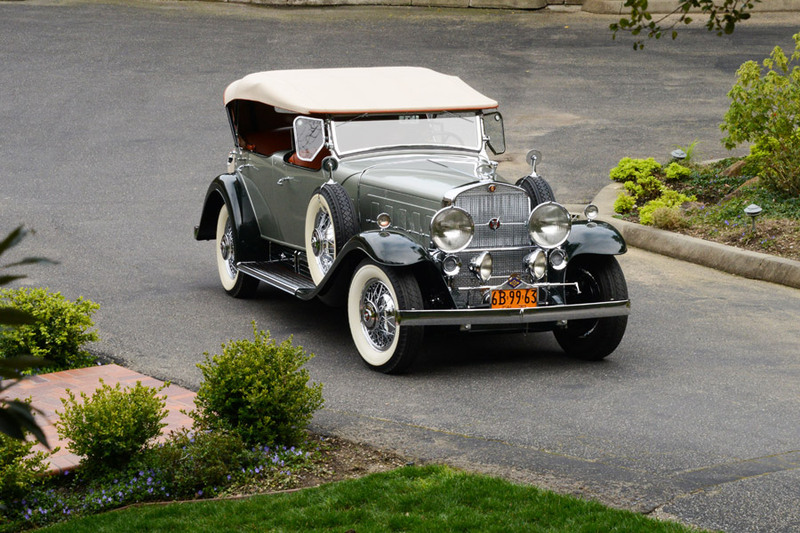 However, one local car collector, Steve Marini, was lucky enough to not only find one but able to acquire it for his collection. 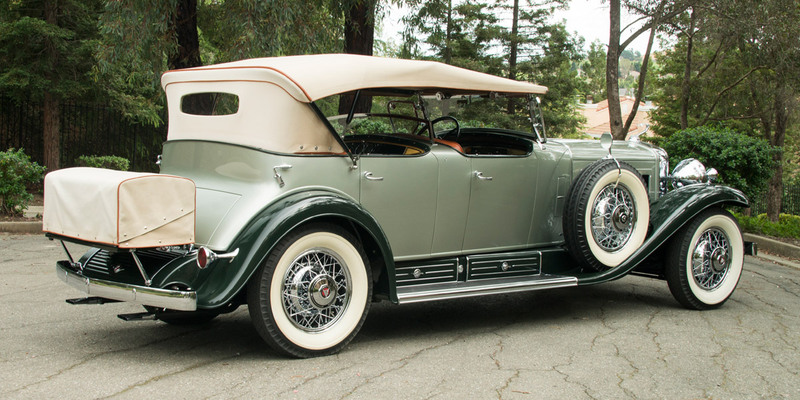 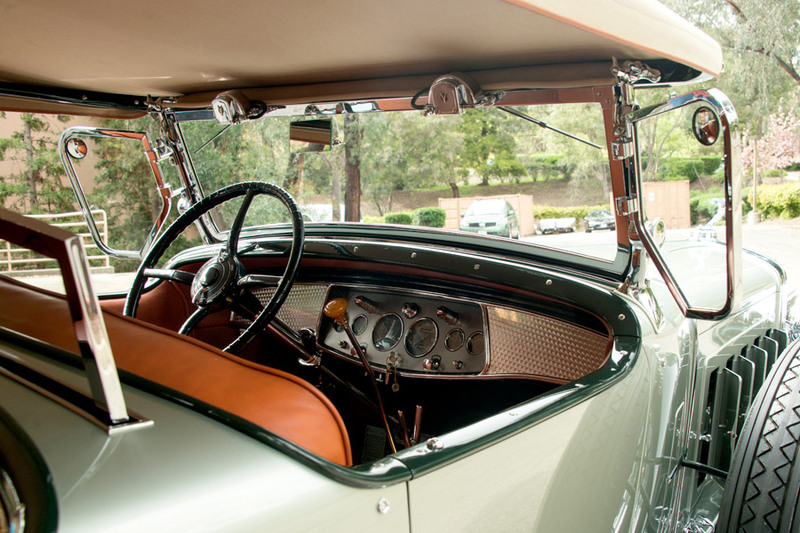 If you were to conjure up a mental image of the quintessential 1930’s luxury car befitting of a wealthy individual, you would look no further than this Cadillac Dual Cowl Sport Phaeton as an amazing example of engineering excellence and no expenses spared luxury features. Seeing the car for the first time in person, a viewer is struck by its overall size and all that chrome up front. 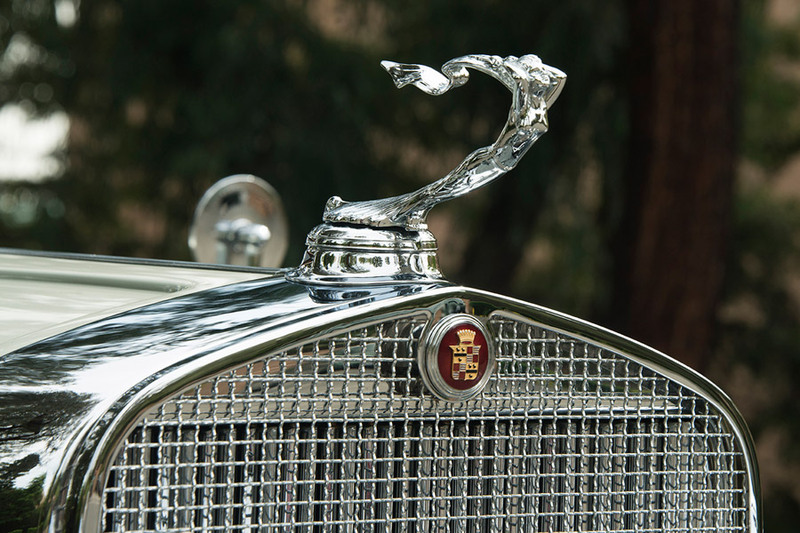 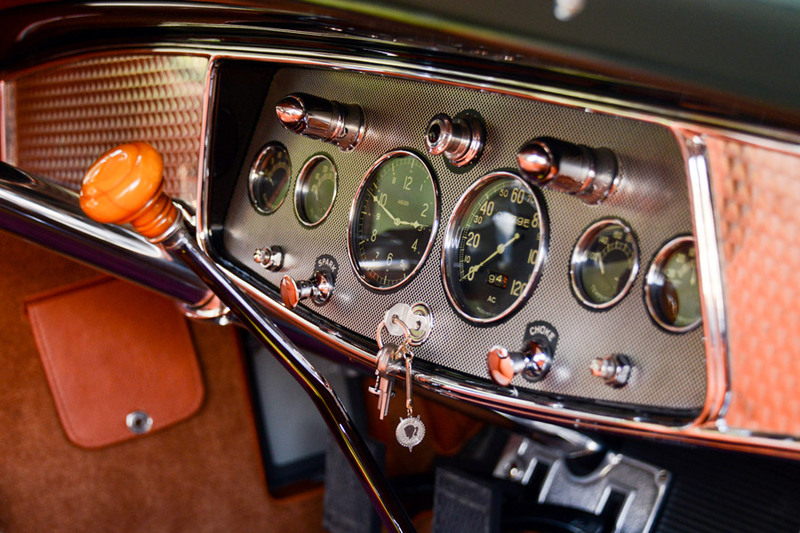 A closer look reveals a number of expensive features and outstanding craftsmanship that make this series of cars so elegant and desirable. 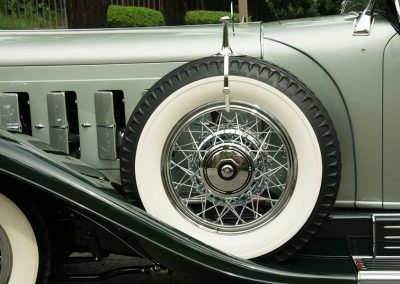 Besides the large main headlights, other features include dual “Pilot Ray” pivoting driving lights; dual side mounted spare tires; sumptuous, full leather interior; chrome wire wheels; wind wings; chrome radiator stone guard; rear passenger dash with speedometer and clock; distinctive cloisonné V-16 badges; rear mounted trunk with a canvas cover matching the convertible top and of course, the iconic Cadillac Goddess hood ornament. 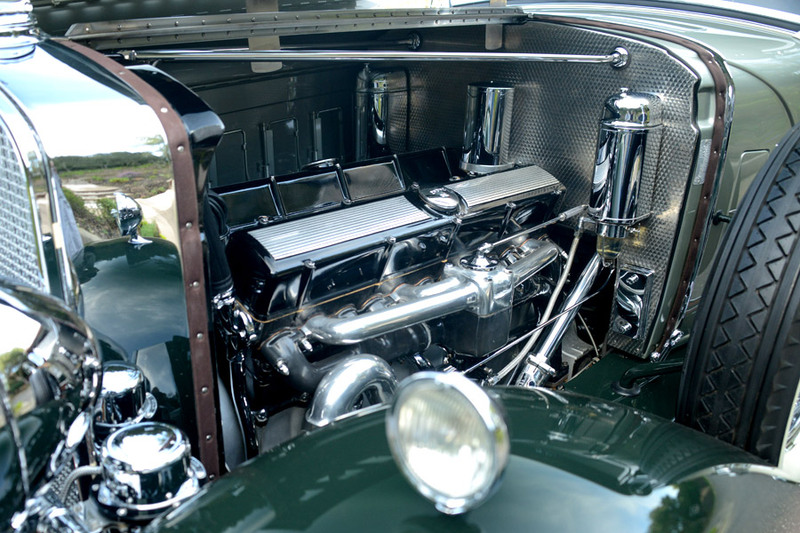 The magnificent V-16 engine is an impressive piece of engineering and design with a single carburetor and fuel system for each bank of eight cylinders; hidden wiring; engine turned firewall; chromed accessories; mechanically operated cooling louvers on the sides of the hood and thermostatically controlled louvers on the grill. 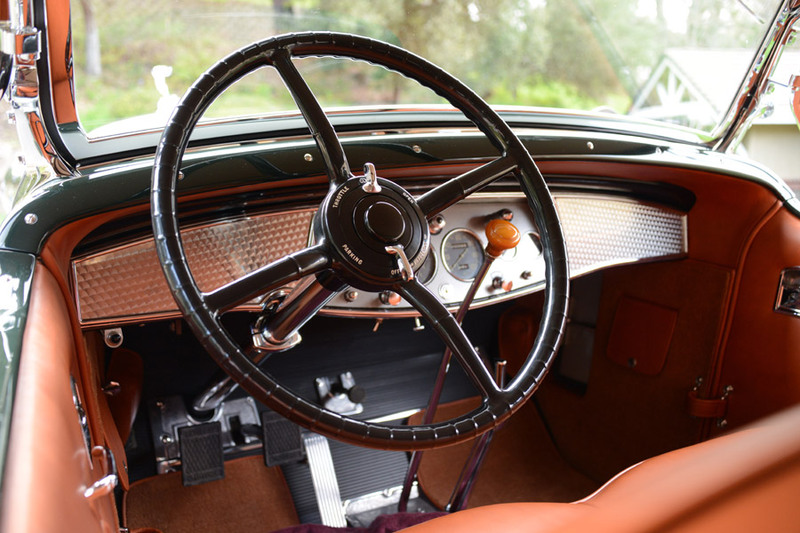 As you can imagine, where ever Marini takes the car, it draws a wave or thumbs up from a passing motorist, or a crowd gathers to admire its grand appearance and make the usual inquiries – “What is it? 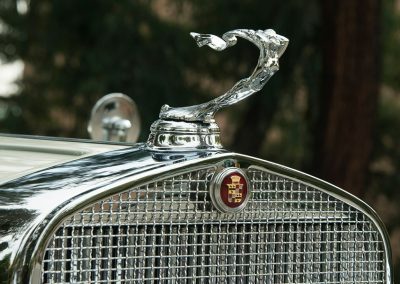 What year was it built? 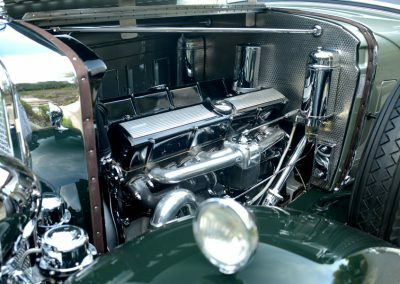 How big is the engine? 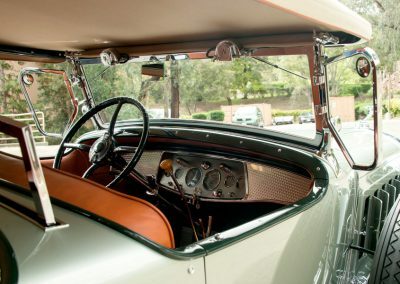 Why are the back seats separate from the front seats? 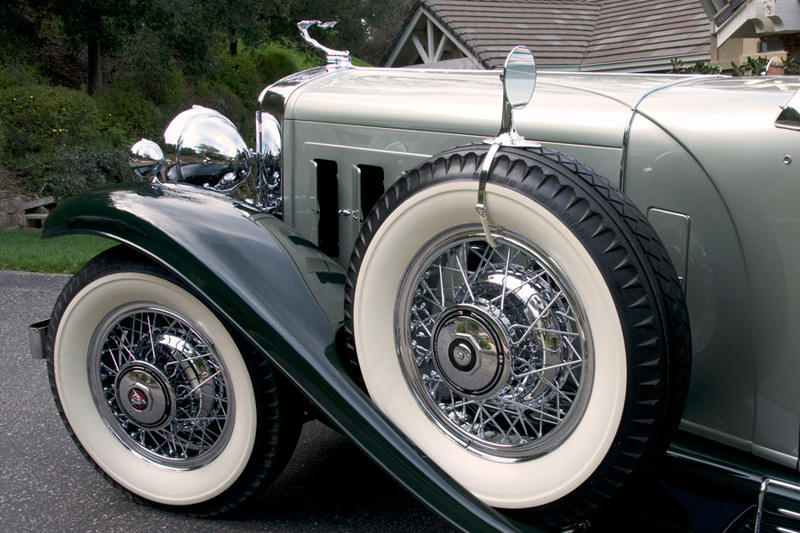 This is not the type of car anyone can just walk by without stopping to have a look. 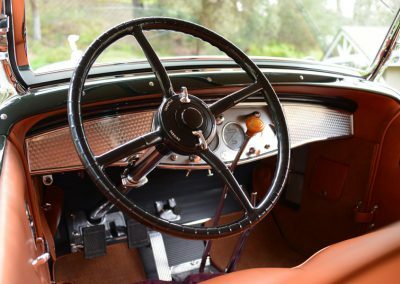 Its stunning looks and size, the impressive interior and all that chrome come together to make this car a wonderful example of an era gone by, one that is not likely to be seen again.